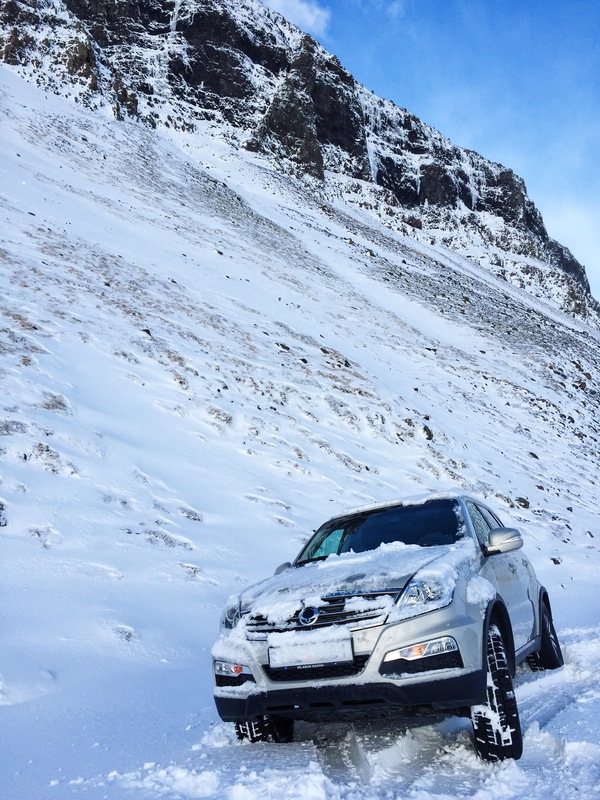 This week is the one year tripversary of my solo road trip around Iceland, and today is exactly one year from when I got myself stuck in a ditch and had to be towed out. 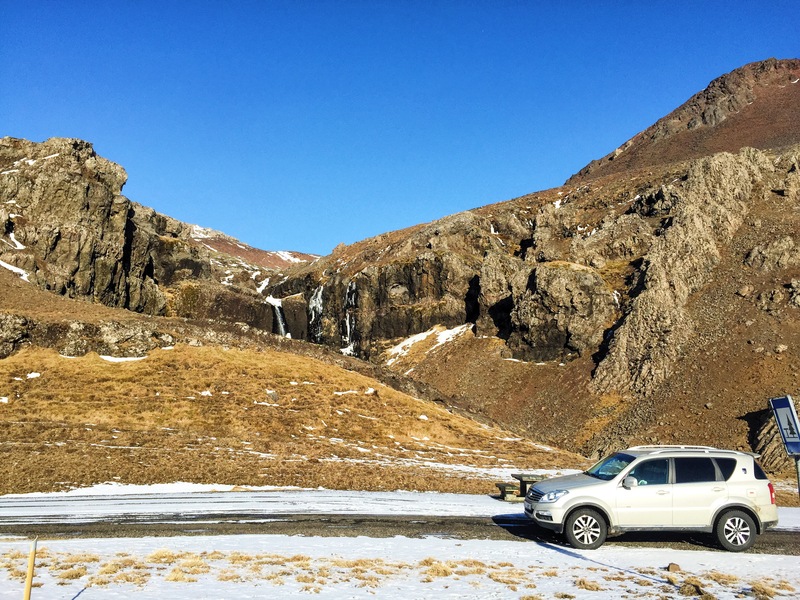 In honor of that experience, I’d like to share some helpful tips I learned from the friendly Icelandic man in a monster tow truck and a couple of resources you can use to avoid getting yourself into the same situation. In the winter, pay the extra cash for a 4×4. 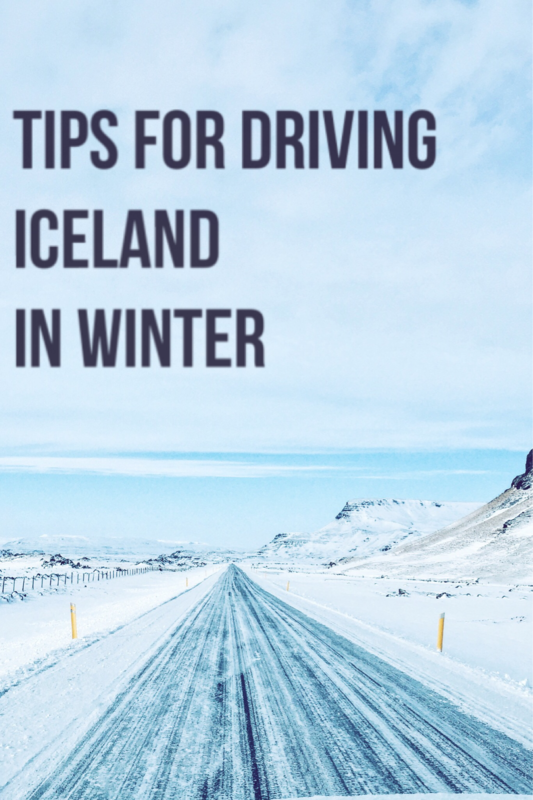 Even if you have experience driving in snowy weather in a small sedan elsewhere in the world, don’t take the risk with Icelandic weather and set yourself up to be safe from the start. You can even spring for studded tires, although if you stick to the Ring Road, you should be fine with regular snow tires. This is the website for the Icelandic Road Administration and is the best way to see real-time road conditions for the country. Before begin driving anywhere, check for weather alerts and to see if conditions have changed. You can also dial 1778 for an English recording of updated weather on the road system. This number comes in handy if you run into a road closure as well. No matter how calm the weather seems where the closure is, find a new route. If you ignore the warning and go around the block, the Icelandic emergency services are longer responsible for assisting you, as it could pose a danger to them (this warning was clearly printed on road signs). I ran into one of these closures while traveling south through Egilsstaðir towards Breiðdalsvík where I was planning on staying for the night. I dialed 1778 and was able to get a new, safer route from the operator I spoke with. Seriously, commit this number to memory, write it in your guidebook, put it in your wallet. This is the number for emergency services in Iceland. Hopefully you will not need it, but if you run into any issues, you will be happy to have it. When I realized my car was stuck and I hadn’t seen anyone else in almost an hour, I called the number. First, the operator tried talking me out of the situation, giving me advice on how to try to get my car out of the ditch by myself. Since I was alone and nothing was working, he called around for the nearest tow truck and called me back to tell me help was on the way. 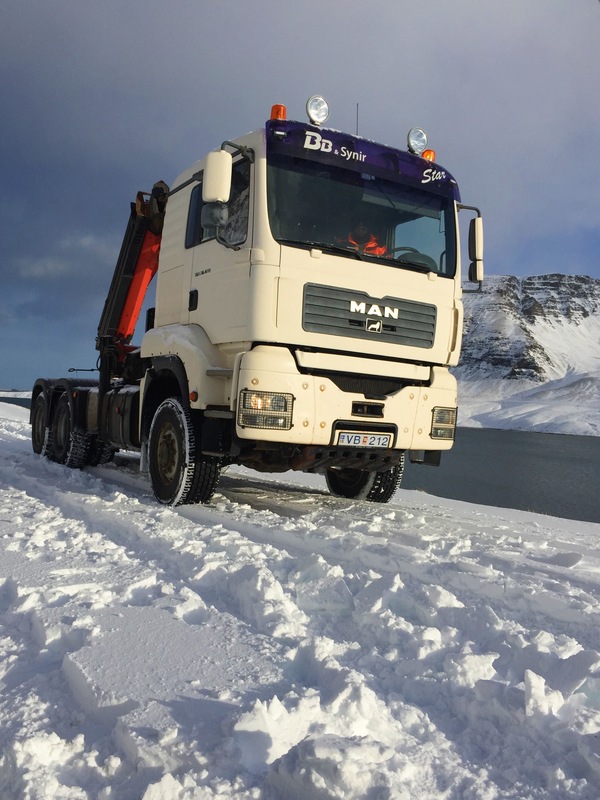 The operator reassured me and made me feel totally comfortable, despite the eeriness of being stranded on a silent road, with snowstorms rolling in and out every few minutes. When the truck arrived, he had me out in minutes and quickly filled me in on the conditions of the roads in the surrounding area and redirected my drive towards a clearer route. People are more than willing to give you advice and answer questions. If you are unsure about directions, road conditions, or anything else, just ask! It is very likely you will get an even more thorough response than you expected – everyone is just so welcoming and helpful. After my car was pulled out of the ditch by the tow truck, a group of Icelandic guys drove up behind us. Seeing the mess I had made by getting stuck and trying to get myself out of the ditch, they insisted on giving me a driving lesson. I know for sure that their kindness and knowledge greatly improved my driving during the rest of the trip and helped me avoid sliding around or getting stuck when I ran into an even worse storm later in my trip. If you slide into a slick spot and get stuck, go slow. Never spin your tires – that will only get you more stuck. You want to turn your wheels while very slowly accelerating to try to get traction, going back and forth, almost in a very slow rocking motion. If you do this a few times, you should be able to feel it stick, and then hopefully will be able to slowly drive forward out of the slick area. I cannot emphasize how important it is to be flexible and make decisions based on the weather and road conditions, even if that changes your plans. While it would be unfortunate to have to pass on something you’ve had on your itinerary for ages, it is better to reschedule or find something else to do than to end up in a dangerous situation. The weather really can change in an instant, from sunny and clear to a sleet storm with hurricane strength winds and almost no visibility. There are no guardrails, and only small road markers. Driving in bad weather can take hours longer than predicted. So make plans, but be open to the fact that you may need to pull into the first town you see and stay for the night or avoid an area altogether for a few days if there is a particularly nasty storm. I remember feeling so embarrassed to be a tourist who got herself stuck in the snow and needed to call for help. I was driving uphill through a few fresh inches of snow with a cliff to my left, and it went from clear and sunny to a white-out snowstorm in an instant. I slowed down just enough that I lost traction, and through a combination of the slick snow and heavy wind, I drifted just enough that I could not get out. That once mortifying experience has taught me more about travelling than some of my best memories though. Sometimes, you can feel as prepared as possible, do everything you’re “supposed” to do, and something bad will still happen. The most important thing to remember during any situation is to remain calm and make smart decisions. Rely on the resources available to you – they exist for a reason. 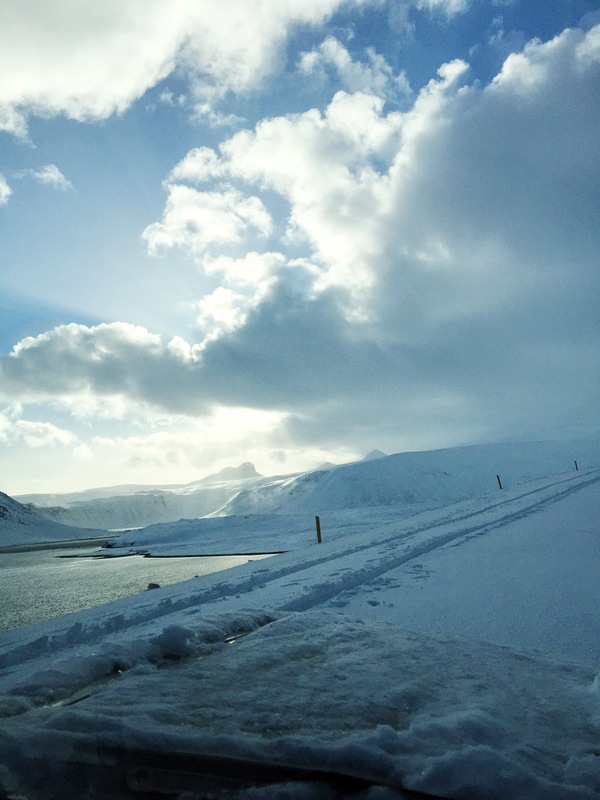 Taking on a road trip in Iceland during the winter is not for the faint of heart. But if, like me, your mind is made up and you’re going to do it, with some preparation it can become the adventure of a lifetime. I’m grateful that you shared your experience in Iceland. It’s so true that accidents and breakdowns happen even when we’re prepared. I think that’s why it’s important to have a plan of what to do and who to call in case you ever find yourself stranded. So true, Becca! I think I’ve learned to plan to be unprepared and to figure out who to call ahead of time just in case.